Startup bedding company Buffy learned early on that it needed to optimize its operations. The company turned to a 3PL provider's warehouse and order fulfillment solution that meets its demanding direct-to-customer shipping requirements. Direct-to-consumer bedding e-retailer Buffy Inc. woke up in a logistics world where quick-turn, no-hassle deliveries and returns have become routine. Buffy Inc., a direct-to-consumer e-tailer offering the Cloud Comforter product. 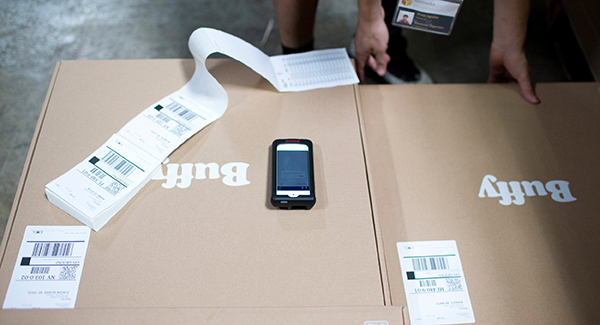 Free shipping, a 30-day trial program, and free returns created logistics challenges. Boxzooka, an e-commerce order fulfillment, WMS, and global selling partner. In December 2017, Buffy launched with a single product, its Cloud Comforter, offered in three sizes. As orders increased, the company realized early on that it needed a better way to optimize warehouse and order fulfilment operations. Buffy wanted a logistics solution that would meet its business requirements and help it grow in the unpredictable business-to-consumer space. It found what it was looking for with Boxzooka, a third-party logistics (3PL) and warehouse management system provider. "Our model is different from other B2C companies because we offer a free 30-day trial for customers," says Jordan Bloom, Buffy's director of operations. "That means we had to figure out both the outbound shipping and the returns process. Customers have the option of testing our product, and sending it back if they don't want it. Startup bedding company Buffy Inc.'s direct-to-consumer business model required quick-turn order fulfillment and fast delivery times. Boxzooka's warehouse and order fulfillment solution helped the startup respond faster. Streamlined Buffy's order management and shipping activity through two Boxzooka fulfillment centers in New Jersey and California. Improved order fulfillment process to more consistently meet the two- to three-day delivery requirements. Optimized capability to ship on the same day orders come in. Recouped savings on kitting and bulk shipping rates that were previously unavailable to the startup company. Created efficiencies in the returns process. Ramp up new top-of-bed product SKUs, with warehouse and order management running through Boxzooka's WMS and 3PL facilities. Possibly add another fulfillment center in the middle of the United States to complement existing bicoastal operations. Continue to shorten delivery times to U.S. customers. Leverage Boxzooka's capabilities to expand Buffy's footprint beyond the United States.